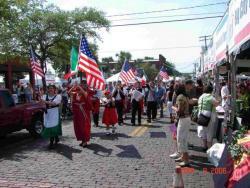 15th Annual Festa Italiana is Taking Place This Weekend! 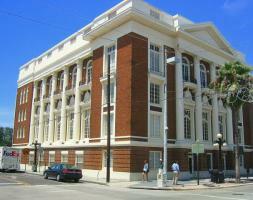 Hi Tampa Bay , Alex back with some exciting news about a wonderful event taking place in Ybor City! A Taste of Italy, right in the heart of Historic Ybor City... is celebrating its 15th Anniversary this weekend! The festivities kicked –off last night with Wines of Italy and they will continue throughout the weekend. Celebrate fabulous Italian Cinema with Cinema Italiano at The Italian Club with a showing of "Mid-August Lunch" tonight at 7pm and a showing of "Christ in Concrete" on Saturday, March 31 at 7pm. Admission is FREE, with donations accepted at the door. Espresso, Dolci and popcorn will be available. On Saturday, March 31, Festa Italiana is hosting a free day of festivities for the entire family to enjoy. Festa Saturday features the annual Bocce Ball Invitational Tournament in Centennial Park, an assortment of Italian food, the Italian Idol Competition and much more. Festa Italiana&apos;s 15th Annual Event takes place on Sunday, April 1, when Centennial Park and Historic Ybor City host over thirty Tampa Bay area restaurants and caterers. The Taste of Italy tent will feature classic Italian dishes, cocktails and much more. What better way to spend your weekend than outdoors in Tampa Bay, enjoying delicious Italian food, fun games and great music with friends and family? I don’t think anything can beat that… Don’t miss out! Festa Italiana benefits the Italian Club Restoration Fund. I hope you all enjoy the festa! Check back with us often for more information on Things To Do In Tampa Bay!